Amish log cabins, log homes, and other types of cabins can be found in over 20 states and Canada. In addition to local retail sellers of Amish made cabins, a number of businesses will ship ready-made cabins to locations across North America. Amish log cabin kits are another popular option, for budget-minded buyers. Amish cabin kits are suitable for those who don’t mind handling construction and installation themselves. Other Amish buildings include Amish cottages, storage buildings, mini-barns, playhouses, gazebos, sheds, and more. Often businesses specializing in Amish crafted cabins will also carry these other structures. Use the directory below to locate an Amish cabin seller in your neighborhood. You might also like to check our Amish Sheds Directory of main Amish Business Directory for other Amish-made products. Amish Mill Log Homes provides quality materials for builders (white pine, air dried or kiln dried logs, roof and floor, decking materials and more). They can provide a few Amish crews that can built log houses as well. Pine Creek Structures is one of the biggest Amish outdoor buildings providers. They feature a range of products sold in ten different states. Amish handcrafted cabins come with a range of options and styles such as boars and batten custom peak cabin, gambrel, two-story Penns cabins and more. Carries a big selection of Amish crafted log cabins, that can be customized to any specifications. Skilled Amish crew and delivery service available. Specializes in quality built log homes by skilled Amish craftsmen. Cabins made with extra care for every detail and solid craftsmanship. Clearwater Log Structures provides log cabin homes that come in a broad choice of styles such as majestic, mission creek, mountain lake, meadow brook and more. Provides a vast choice of outdoor mini structures. Amish built cabins come in styles such as the treated cabin and lofted cabin that can be used as storage, play house, lake-side retreat, or home-away-from-home. Amish cabins available only in treated wood. Features economical portable buildings including Amish made cabins. Standard cabins come with entry door, cathedral ceiling, your choice of colors and two windows. Each building can be customized to specifications. Offers Amish quality built structures made from the finest log materials. Their log cabins are ideal for lake front lots, a quiet place in the woods, hunting, fishing or camping properties. Amish structures available in a range of styles and options. All cabins come standard with interior/exterior chinking. Features Amish built hunter cabins with log siding, rustic model with solid log. Structures come with a range of options including building size, porch size, roof, log ladder, extra door options and much more. Specializes in saw mills/pallets. 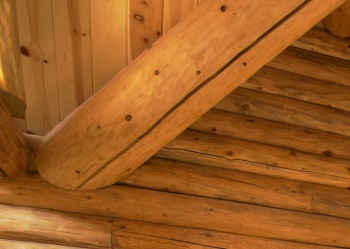 Creekside does log homes and oak construction as well. Family-owned business, provides a range of quality built Amish products. Theiry broad choice of hand-crafted cabins include a variety of building options. Amish cabins available for different uses including hunting, camping, fishing, backyard get-aways and more. They offer log cabins crafted and built by Kentucky Amish. Each structure is pre-cut for delivery. They provide several different cabin models including the elk, the moose, the white tail model and more. Cabins can be customized. Amish Made Cabins is a division of US Portable Buildings, in business for over 15 years. The company specializes in Amish handcrafted outdoor structures including log cabins and log cabin kits. Amish built log cabins come in a range of options including door, roof, floor, window, siding and stain choices. Features a range of cabins styles including boone with corner porch and loft above, weekend retreat with spacious interior and inside porch, cumberland with two loft and reverse gables, lincoln with end porch and loft above, olympic cabin model and more. Each built by skilled Amish contractors. Provides log cabins hand-built by Amish craftsmen of Kentucky. Vast selection of options including cabin models, door, porch, color, indoor and outdoor features and more. Vast selection of Amish-built cabins available in different styles such as lofted cabins, cottages and colonial cabin models. Broad choice of cabin options available as well including vinyl railing, vinyl and roof colors, porch options and more. Specializes in Amish-built vinyl, log, treated and metal buildings. Amish crafted cabins come in a variety of models including log cottage, log lake lodge, log cape cod, and more. Selection of exterior options available. Broad choice of Amish hand-built products including sheds, gazebos, playhouses, swing sets, pergolas, arbors, planters, bridges, garages, cabins and horse barns. Offers a wide assortment of outdoor structures. Amish built log houses come in a range of options such as windows, floor plans, colors, siding and more. Go to Amish Cabins Michigan main page. Sells a full lineup of Amish-built structures, including barns, sheds, garages, and storage units. Cabins include the Classic Cabin and Lofted Cabin. Eleven Show-Me State locations (listed below). Meadowlark Log Homes was founded by a family with Amish roots. They provide a vast array of log cabin homes handcrafted by craftsmen from Montana, and cooperate in some cases with Amish craftsmen for cabin installation. Some of the log cabin styles including gardener, trapper, kalispel, retreat, gem, green gables, mountaineer and more. Features Amish built outdoor structures including outdoor furniture, storage buildings and custom crafted cabins. Cabins perfect for different uses such as get-a-way, vacation rental, or “mother-in-law apartment”. Multiple choice of options available. New Jersey’s Amish Country Sheds offers a range of outdoor structures built by Amish contractors. Amish built custom-made cabins available. View Amish Cabins New York main listings. View Amish Cabins Ohio main listings. Go to the Amish Cabins Pennsylvania main listings. Serving the local communities since 1983. They provide a choice of outdoor structures made both by Amish and non-Amish builders. Recreational cabins and modular homes built by an Amish crew. They feature a broad selection of cabin styles including adirondack, gatlinburg, deuka, weekender, lanier with a range of options. Each product can be customized to any specifications. Beachy Amish Mennonite family-owned and operated business. Specializes in outdoor structures including a broad choice of cabins. Each of them is built on site, using fine kiln dried white pine log siding. Both exterior and interior finish options available. Family owned and operated business, offers outdoor buildings locally hand crafted by Amish and Mennonite contractors. Each cabin is specifically shaped. Amish cabins are suitable for a get-away, hunting cabin, or guest house use. Amish quality-built certified homes and cabins in a range of styles and options to choose from. Cabin styles available for full time living. Each can be modified to customer’s needs. Designs include adirondack, cape cod, braswell, gambrel, trailblazer, settler, pioneer and more. This is a family owned and operated business, featuring a broad choice of Amish built outdoor structures including log cabins. Some of the cabin styles including settler, pioneer, mountaineer, lincoln and frontier with porch, deck, roofing , siding, flooring, siding, window, door options. Amish Direct cooperates with Amish builders. Amish Country Cabins’ products are only available in Wisconsin, Northern Iowa or Southern Minnesota. Structures are completely built by skilled Amish craftsmen using native white pine logs. They carry an extensive choice of cabin options including size, additions, interior and exterior finish, roof, windows, door and more. 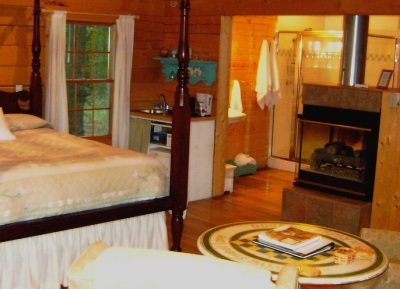 This business specializes in get-a-way/vacation cabins and full log houses in any size. They employ an Amish crew from Southwestern Wisconsin. Amish-built log cabins come in several different styles with decks, porches, log hand rails, dormers, saunas, and more. Each structure can be customized to any needs. They offer a range of sheds, barns and cabins custom built by skilled Amish contractors. Family owned and operated business, established in 1997. They specialize in single-wide and double-wide mobile homes, built by Amish contractors. Canadian supplier for Amish built sheds, bunkies, cabins, workshops, garages, gazebos, mini-cottages and more. Each handcrafted by Pennsylvanian Amish contractors. Please double-check business hours of Amish cabin sellers given here; locations and hours can change. Amish-owned businesses are always closed on Sundays. Non-Amish cabin companies may be open. HI…I am ready to purchase a small Amish log cabin with porch and loft…basic yet modestly finished on inside with kitchen and bathroom so it is ready for occupancy…yet, hopefully…I can keep it in my budget…I am ready in the next 90 days and I do have cash. Thank you for your help. Stay safe, Dawn Marie. I live near Yale, OK. and would like to have a roof put on some poles i have set in the ground, The size is 28′ x 48′ the roof would have a 4′ overhang on all sides, the height of the poles are 25′ above ground level, The poles average diameter are 18″, I have a tractor with a lift and could help some but have found i cannot complete by myself. Looking for Amish builders for home or cabin in southwest Wisconsin, Prairie du Chien area.